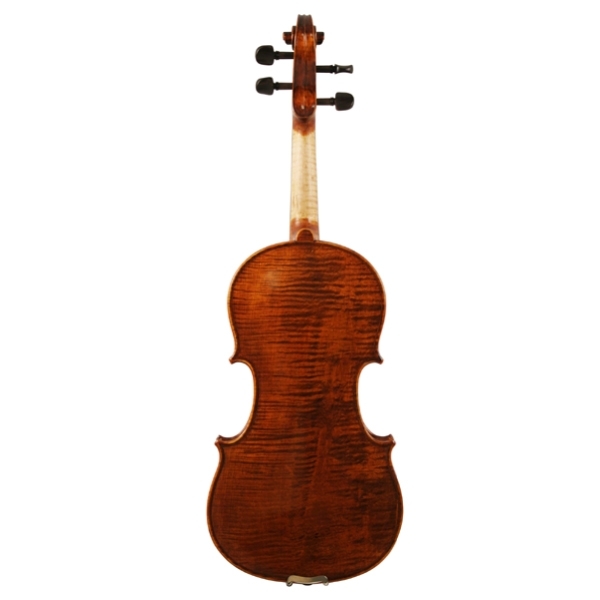 The “Paris” model violins feature gorgeously flamed one-piece maple backs with matching, flamed ribs, neck and scroll, and finely-grained spruce tops, inlaid purfling, and distinctive Parisian eye ebony pegs, ebony nut, fingerboard, saddle and endpin. Attractively shaded golden brown finish highlight the beautiful tonewoods. Interior features fitted corner blocks and lining, and the plates are meticulously graduated to complement the striking instrument. The complete outfit includes a deluxe, oblong case with zippered cover with music pocket, magnetically secured storm flaps, locking center latch, padded handle, multiple shoulder strap rings, and adjustable shoulder straps. The semi-French-fitted interior of the cases are fully lined, with matching lined blanket, four bows holders with bow ribbons, hygrometer and generous lidded accessory compartment. 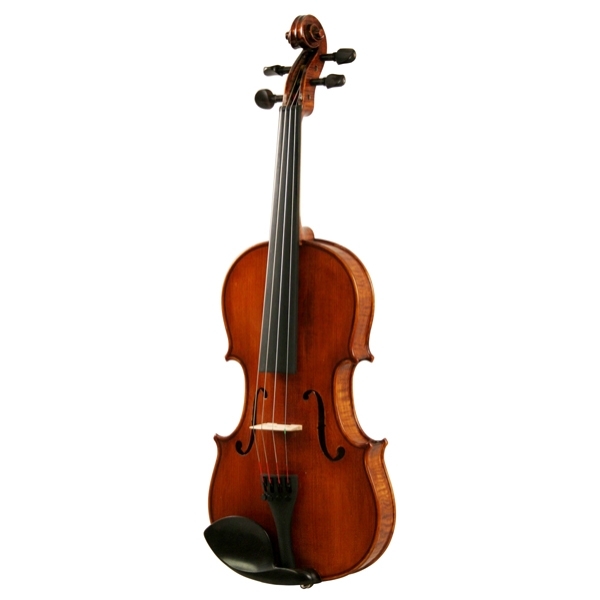 Durable and responsive carbon composite bows include leather thumb grip and wire winding, fully-lined ebony frog with Parisian eye inlay, mother-of-pearl slide, three part button, and white horsehair.